The Australian Open 2019 is mid-way through the first round matches. There were no major upsets on the women’s side and the usual suspects moved quietly into the second round on day one of the tournament. The competition, in the women’s section, runs deep. The competition, in the women’s section, runs deep and there are many vying for the Australian Open title this year. Serena, like always, looks strong but lacks match toughness. She is not a shoe-in to win, even if she reaches the finals. What’s more, eleven different players have a reasonable shot at displacing Simona Halep from her number one spot in the tournament, and, the WTA has had eight different slam winners in the last two years. Our pick for the favorites at the Australian Open, therefore, will be announced after assessing the performance of the contenders at the end of the first. Petra Kvitova, ranked 6th , schooled Rybarikova 6-3, 6-2 and moves into the second to face Begu who received a pass to the second after Petkovic retired in the second set of the first round against her. Petra straight-setted Angelique Kerber and Aryna Sabalenka on route to win Sydney last week and appears to be in good form. Kvitova delivered eight aces and won 76% of her first serve points in the match against Rybarikova. She also won 61 total points compared to 40 by Rybarikova. Petra is in good form and should be able to win her next round against Begu. Kvitova is dangerous on fast surfaces and we will be carefully monitoring her progress into the second week to assess the damage force-Petra can inflict thereon. Caroline Wozniacki, the third ranked WTA player, passed the Alison Van Uytvanck test by beating the dangerous Van Uytvanck 6-3, 6-4. Caroline fired 7 aces and won 65% of her first serve point and 73 of the total points in the match. She did not face a break-point and looks rearing to face Johanna Larsson in the second. We expect Wozniacki to win that in straight. In her first at the Australian Open on Monday, Angelique Kerber overcame the resistance from Polona Hercog by delivering one ace and winning 67 of the total points played. Kerber did not face a break point while winning four such opportunities herself. Kerber also won 81% of her second serve points and 69% of first. 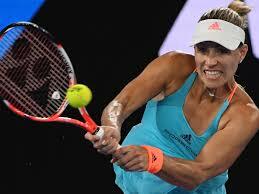 Kerber, ranked 2nd, will face the qualifier Haddad Maia in the second and should score a straight sets win there. Sloane Stephens, ranked 5th, is as steady as they come. 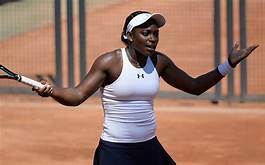 She downed Taylor Townsend, another American, 6-4, 6-2 by winning 69% of the first and 75% of second serves and 60 of 102 points played. Her next opponent, Timea Babos should be challenging but Sloane should prevail in three. The Frenchwoman, Caroline Garcia beat her countrywoman Ponchet 6-2, 6-3 by converting 5 break-point opportunities and winning 72% of her first serve points, and 66 of the 112 points played. Caroline is a formidable player and ranked 19 in the WTA rankings. She also shot 6 aces on way to her convincing win over Ponchet. Her next opponent Hives is a wildcard entry, who beat Bethanie Mattek-Sands 6-1, 6-2 in the first. Garcia, we believe, should be able to find a way to win the second in three. The 29th ranked Donna Vekic outgunned Kristina Mladenovic 6-2, 6-4 in the first round of the Australian Open. Vekic delivered six aces, converted 5 break-point opportunities, and won 70% of the points on her first serve and 65 of 112 point played in the match. Only 44% of Mladenovic’s 16 sojourns to the net were successful. Vekic’s next opponent, Birrell is a wildcard entry and we expect Vekic to win in straight. 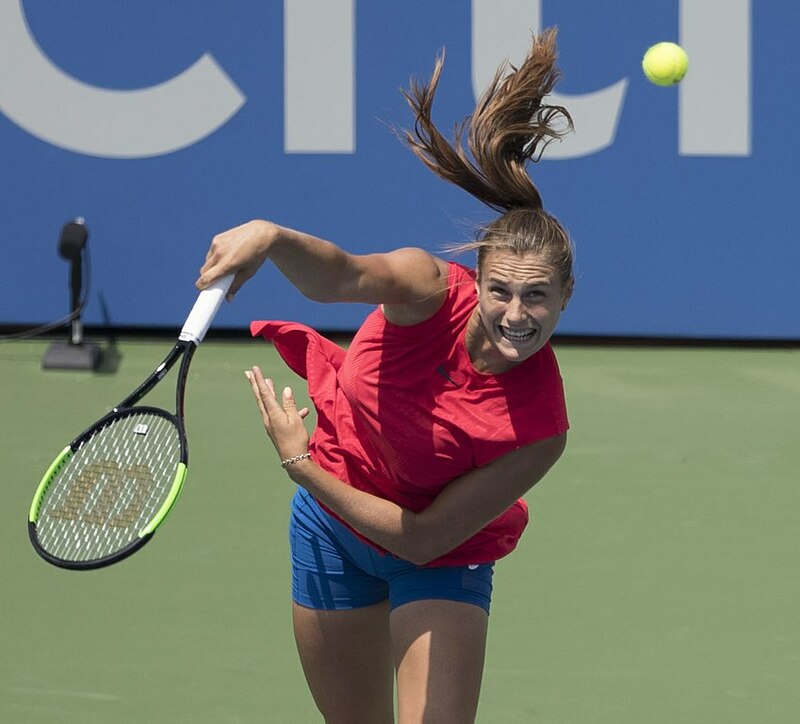 Aryna Sabalenka is expected to create magic in this tournament and did not disappoint in the first round. She beat Kalinskaya, a qualifier, 6-1, 6-4 with a powerful performance, packed with five aces, 25 winners and by winning 64 of 107 points. She plays Boulter, who beat Ekaterina Makarova, next. Sabalenka should move to the third with a three set win in the second. ← Reliving Sir, and the player, Andy Murray.